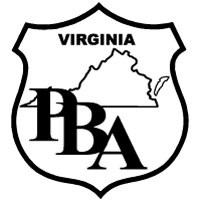 The Blue Ridge Chapter of the Virginia PBA is set to aid fellow member Jordan Spaeth started with the Lynchburg Police Department several months ago, after working for three years with the City of Bedford Police Department. 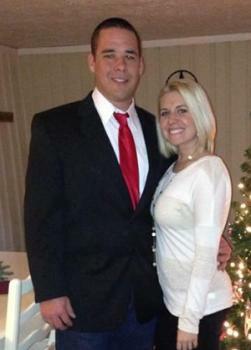 Jordan is originally from New Jersey, but came to Virginia to attend Liberty University, where he met his wife, Katie. Jordan was recently diagnosed with cancer and the Blue Ridge Chapter wants to help him and his family in this time of need. He is currently undergoing chemotherapy in Lynchburg, VA. Jordan and his wife, Katie, have elected to use Johns Hopkins University Hospital in Baltimore Maryland for any additional treatment, which is roughly a four hour drive from Lynchburg. The bills are going to start adding up for this officer and his family, so his fellow PBA brothers want to help. When Jordan was diagnosed with cancer, he was scheduled for an immediate surgery. The surgeon found a second tumor that was removed at the same time. Although both tumors were removed successfully, there were still some causes for concern. So, the doctor had those tumors sent for a biopsy. Unfortunately, a recent CAT scan did not reveal the results that they had hoped. The scan indicated that the cancer has advanced into a lymph node in both his stomach and his chest. They are grateful that they didn't see multiple lymph nodes effected, but at the same time concerned that it has already advanced into his stomach and chest. Because of this recent diagnosis, Jordan's wife, Katie, has decided that she will not be continuing her final semester of law school so that she can be with Jordan during his treatment. Jordan and Katie and their extended family are extremely appreciative of all the support that everyone has given them thus far. Jordan and Katie need help and the Blue Ridge Chapter of the Virginia PBA (through The Police Benevolent Foundation) will be collecting donations on Officer Spaeth’s behalf. You can go to any Wells Fargo Bank and donate to the Police Benevolent Foundation account designated for the Officer Jordan Spaeth Recovery Fund. You can also make an online donation through the PBF to the Officer Jordan Spaeth Recovery Fund by clicking the link below. **PLEASE BE SURE TO DESIGNATE THAT YOU WOULD LIKE YOUR DONATION TO GO TO THE "JORDAN SPAETH RECOVERY FUND" IN THE DESIGNATION BOX ON THE DONATION FORM. The VAPBA and the Police Benevolent Foundation appreciate your thoughtful donations to Officer Jordan Spaeth and his family in this time of need. All donations and funds collected will be given to the Spaeth family to help them during these hard times.